With the right set, complete with smooth blocks and perfect dimensions, this game hits all the marks for fun, strategy, and replay-ability. There is only a loser in games with more than two people, a feature rarely found in recreational games. Tis this resistance to the agony of defeat that provides the excitement. Players take turns removing blocks from the wooden tower, and placing them back atop the pile. The first to make the tower tumble loses. A steady hand is key, and most often quick pulls grant the best results. 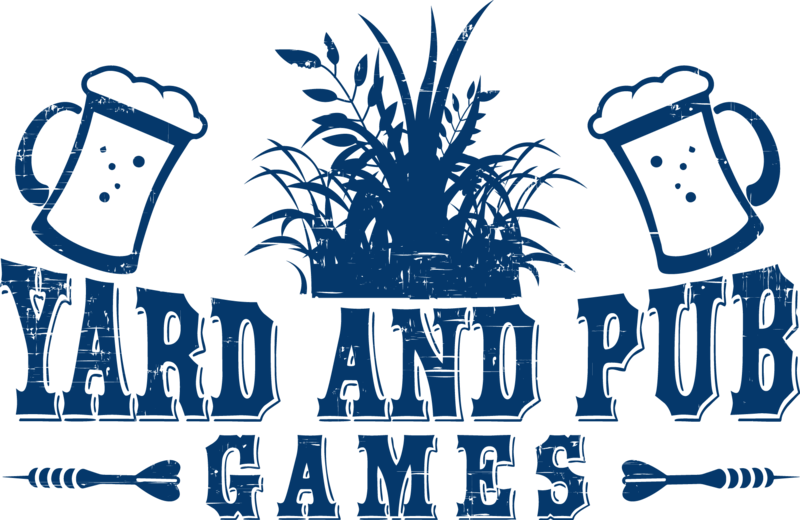 We’ve seen this great game pop up at our favorite local beer gardens, and we’re huge fans. While the sheer size and weight of the game is daunting, those willing to put forth the effort to transport and assemble will be rewarded with jubilation and the good kind of heartbreak alike. Peep our top 10 sets available on Amazon. This sturdy, rugged outdoor set includes a must have traveling & carrying case. Trust us, a case is very handy when transporting this big ol' game. Each block is well sanded and smooth to ensure a good pull each time. The original gets supersized here. This set pulls away from the others by carrying the official Jenga logos and accompanying quality. This set is larger than some others on our list, standing at 4' tall before any stacking begins. Giant Jenga spawned from the calssic table game. We aslo highlight a great variation of this in our Jenga Party game article. The bigger, better, badder version simply supersizes it. Everything is gigantic, the blocks, the tension, and of course the collapse. We here at yardandpubgames.com play mostly indoors on a well buffered table in the garage. The matches are frought with heckling, pull shaming and towers stacked six feet tall. We have fun. You will too. We’ve learned a few things over the course of hundreds of games, and we’re selk proclaimed experts. Now we share our expertise with y’all. Top tips for crushing your opponents. Don’t be afraid to take your time. Survey the tower, look for opportunities not only for your move, but also to comprimise the next players chances. Commit to the block you’ve chosen. Fans of physics know that the speed in which a block is removed from the tower directly affects the friction ratio and subsequently the towers stability. Stand clear of the tower when it’s not your turn. As the tower grows in heigth, the structural integrity is more and more compromised. Don’t be that guy/gal who accidentally bumps the table or area around the tower. Always be mindful of the weight distribution of the tower. Despite the momentum and exuberance of successfully pulling a block, be very careful and sure handed when replacing the block up top. Giant Jenga is a self contained great game, there are no accessories available nor needed. Should you choose to incorporate party jenga into the mix, all you need is a pencil and creativity. In summation, this yard and pub game stacks up the fun.